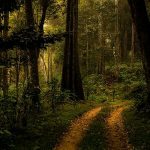 The moment I stumbled on to a Youtube video showing the road to Amboli waterfalls near Goa, my eyes became wide in delight. The expectation of seeing the waterfalls in a few minutes was unbearable. I wanted the car to move fast towards the Amboli waterfalls near Goa. The road ahead was covered in dreamy mist and was wet with the water sprays. Finally, the roaring waterfalls came into view and I was speechless for several seconds. Have never seen such a splendorous flow of water in India and it was just abutting the road to Goa that is just 100 km away. Let me end the suspense for you and allow you to see the thundering Amboli waterfalls. What is your reaction? 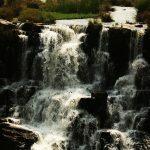 I think the majority of the regular readers of this travel blog have not heard about this fantastic waterfalls before. Those who are young and brave are seen climbing up the steps and slowly moving up fighting the surge of water current on the steps. Did you notice the wet road and the mist enshrouding the area? It is so dreamy and thrilling. 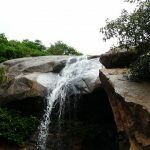 Though the weather is pleasant throughout the year because of the high altitude of the Sahyadri Hills, to see the waterfalls in its glorious best, try to plan your trip in the month of June. Even, July is also ideal. This is the monsoon season here. Avoid weekends because of a large number of tourists from Belgaum and Goa. Now let me tell you where the Amboli waterfalls is located, how to reach it and what else can you see near Amboli hill station. The water is falling from a mountain with its peak located 2200 feet and the mountain you saw on the video is called Sahyadri Hills, part of the mighty Western Ghats. The actual location of Amboli is in Maharashtra. How to reach Amboli Waterfalls? Since Amboli hill station is located near the border of three Indian states, you can reach it from all the three states of Karnataka, Goa, and Maharashtra. Though a road approach to Amboli Ghat is more scenic and memorable, these days, travelers don’t have much patience. 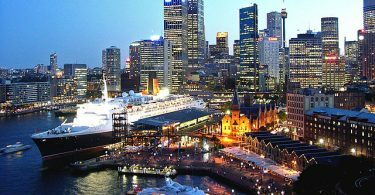 They just want to reach the tourist destination as quickly as possible and choose to go by flight that is nearest to their landmark. 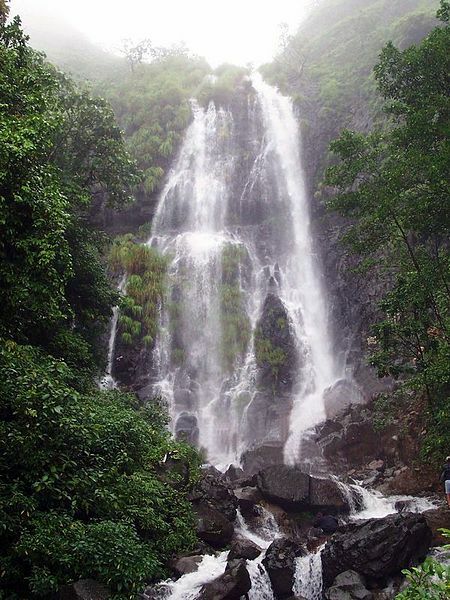 The closest airport to Amboli waterfalls is the Dabolim Airport, Goa that is about 60 km away. This is for those who are flying from Mumbai. Those who are flying from Bangalore or Chennai, they have to fly up to the Sambre Airport, Belgaum that is 70 km away. For train journey buffs, Sawantwadi Road at 30 km away is the point of getting down. Since Belgaum is not far away, I think Belgaum in Karnataka is ideal to travel by train. Belgaum has a big railway station and is well connected from Bangalore, Hyderabad, Mangalore, Cochin, Madgaon, Pune, and Mumbai. 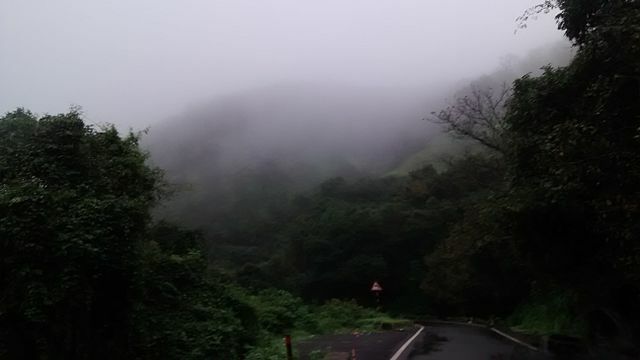 As I said, the road to Amboli Ghat can be very pleasant and picturesque. Our location is on the Karnataka State highway, between Belgaum and Sawantwadi. What else to do in Amboli Hill Station? You have seen the misty hills and the pleasant weather. 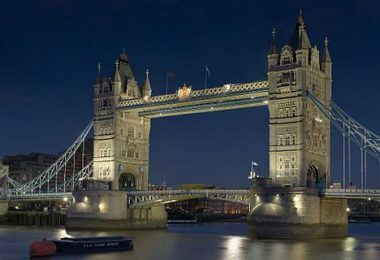 Surely, you want to explore the jungles on the wet hills by trekking through scenic trails of which there are several. You can join batches of tourist who dare to go up the slippery mountain trails. It will be fun and safe too if trekkers go in batches. This side of the wet mountain is infested with leeches and so you have to wear protective gears to stay safe from the dangerous parasites. If there are leeches, then, surely, there must be several worms and insects that seem to sprout from nowhere during the rains. Such a large species of insects imply, there must a range of typical insect-eating birds. Therefore, trekkers can really enjoy a field day on the Amboli Ghat. 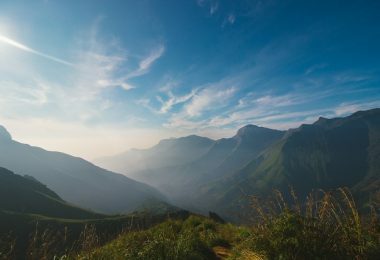 Trekkers go up to see a few observation platforms to see the stunning views of the western ghats and the Sahaydri Valley. 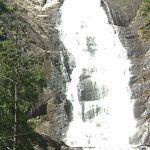 This enchanting place should not be missed at any cost as it is here that you will see the reverse waterfalls at certain times during the rainy season. Oh man! Can you believe it? 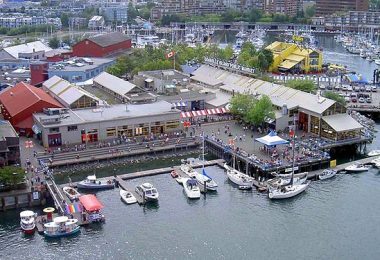 Can you move away from this most scenic and cool place within a few hours? I can’t and won’t. The distance is only 10 km from Amboli Waterfalls. Apart from these two waterfalls, there are several and here is one of them called “Nangarta Falls”. 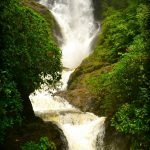 If you move slightly far, say a few kilometers away from Amboli Waterfalls, you will see several more falls that can be seen in the distance and that sight is terrific. Trekkers will stumble upon more small waterfalls that are hidden behind the dense jungles. Visualize yourself at such a dark green forest at the foot of a tumbling waterfall. The sound of water falling, the crickets and jungle birds’ call will take you to another world. 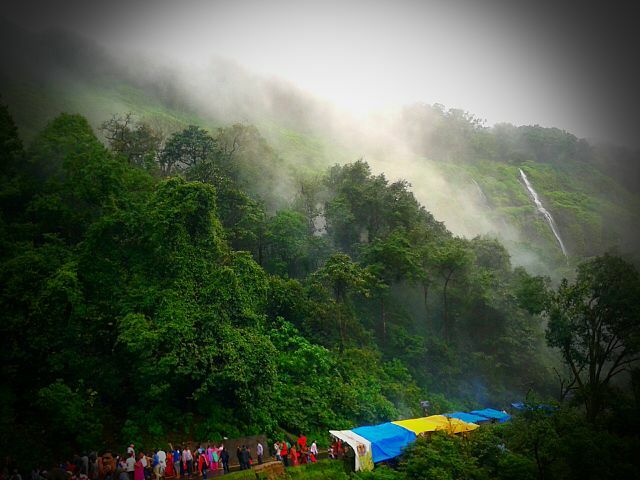 The Nangarta falls can be seen 8 km away from Amboli. That’s a lustrous waterfall. It must generate a roaring sound! 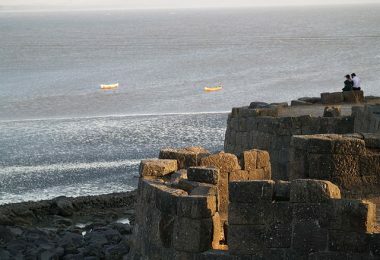 The ruins of this fort set amidst the lush green Western Ghats is about 20 minutes away only from Amboli Hill Station. Just treat this as a viewpoint to appreciate the green gorge and the waterfalls that are so out of reach of your mobile phone camera. Located very near to Amboli Ghat’s bus stand, this temple is at a scenic place and the Amboli Falls’ feeding river named Hiranyakeshi river’s staring point. If you are not claustrophobic, explore the caves near the temple. On the way to the Hiranyakeshi temple, people stop briefly at a Hanuman temple. Wooden toys shopping at Amboli. No, you can’t imagine what kinds of wooden toys and articles you can buy in Amboli and Sawantwadi till you see the vodeo below. What an astounding range of wooden articles in the shape of animals, birds, fruits, cars, buses, and Hindu Gods! I am sure you will end up buying more than you originally intended to. Go ahead and don’t restrict yourself. You will regret later if you return without yielding to your desires. That wooden paraphernalia makes excellent gifts. 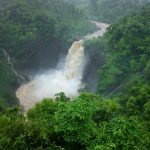 A normal tourist who feels he had had enough of waterfalls would quickly return to his home town or head to Goa and enjoy a bout of boozing and playing on the Arabian Sea. However, trekking and fitness freaks and bird watchers would like to stay a night and enjoy one more day at the Amboli Hill Station. There are not many accommodations in Amboli Ghat and I give below some information that I am able to gather. On the highway between Belgaum and Goa, there are some very basic lodges that cannot be called even adequate for a night stay. 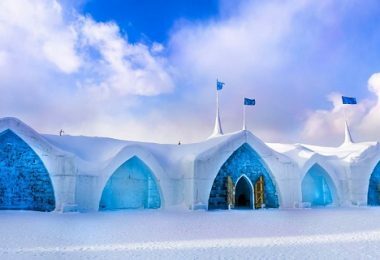 If you can put up with such meager bed and bath, you can opt to stay but that too requires advance booking during the peak season of April to August. You cannot complain about poor quality food in Amboli. 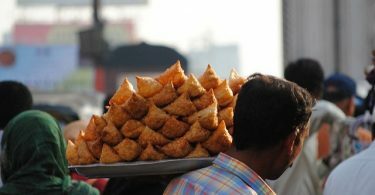 The road from bus stand to Amboli waterfalls are lined with restaurants and food kiosks and all of them serve good food. It is advisable if you stick to vegetarian options. Though the Karnataka border is nearer than Maharashtra, the food provided in Amboli will be of Marathi cuisine. 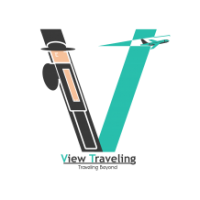 Ask around for Vithal Kamath restaurant near Sunset point. It is a good choice to eat there. If you don’t mind driving a few kilometers away from Amboli Waterfalls, you will find Green Valley restaurant, a fairly big one located on the road to Sawantwadi. 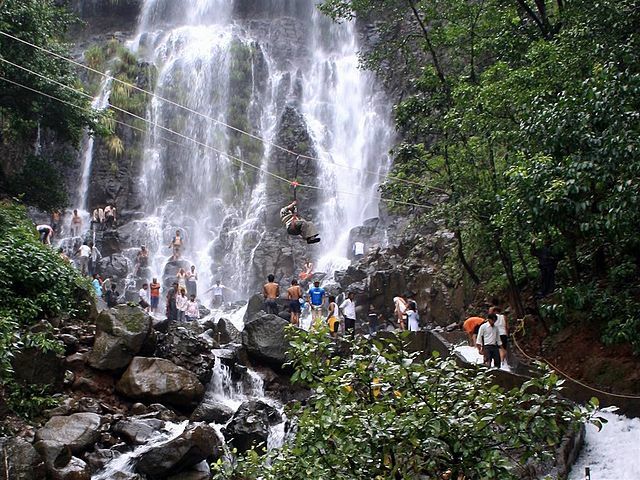 So, by now, you would have made up your mind to plan a day trip at least to Amboli Waterfalls. Choose Belgaum as your halting place and you will find it easy to go to Amboli Ghat and come back in the evening. Beautiful photograph of the waterfall. Nice description of the place. And lots of information about what to do, what to eat, where to stay. Overall, a very helpful post. Nice post. Beautifully captured images. You are doing a great job sharing such information.